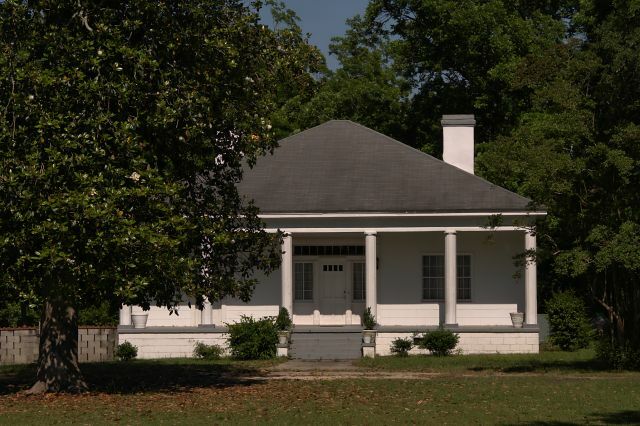 Robert H. Dixon, a state senator and state representative, owned this land from 1827-1857 and built the main house, seen above, circa 1840. The property was sold to Daniel G. Owen (1830-1892) in 1858, and was held by his heirs until 1967. Owen was a Confederate soldier, taken prisoner by the Union, who came back to a different plantation after the war. He was a model post-bellum farmer. 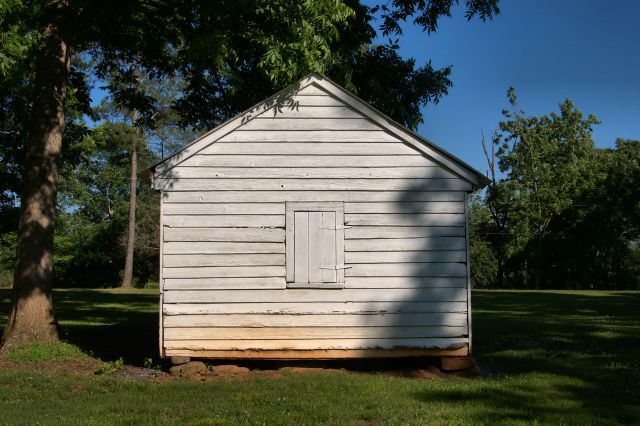 Instead of dwelling on the loss of his slaves, he went about making the property work with one-third the labor of plantations of similar size. (Please note that this is private property. I’m grateful to the property owner for permission to photograph the grounds). His waterworks, built in 1886, was considered his greatest modernization and received much attention in the press. The water tower is the tall feature covered with vegetation. Numerous outbuildings survive on the property. 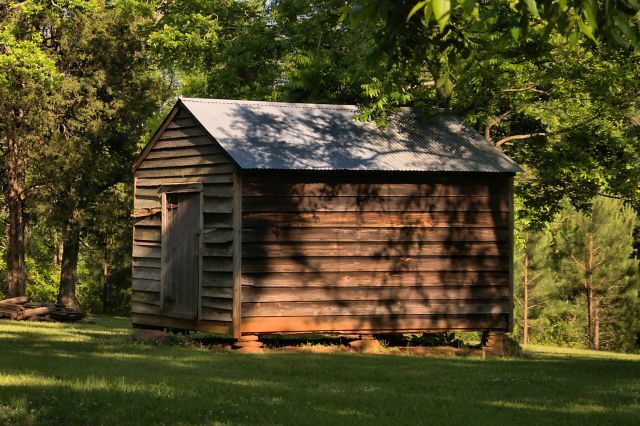 I cannot identify each outbuilding, but each had its own specific function. 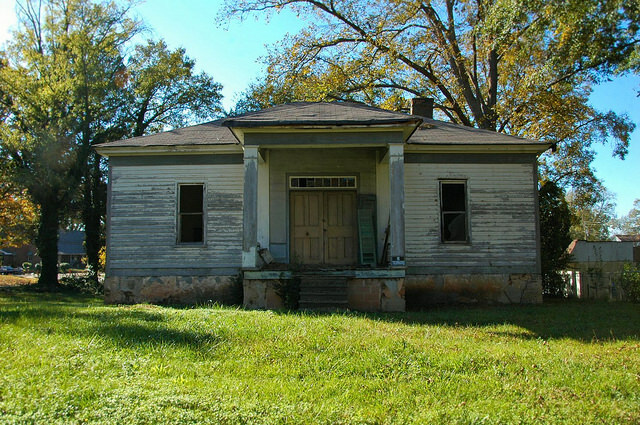 Descriptions and a much more detailed chronology of the property can be found on the National Register nomination form. Jim Luckey, the present owner of the property, writes: Mary Elisabeth Hargis Luckey, great niece of Collier Vines Mills along with her husband James Milton Luckey jr. Purchased The Elms from Ed and Cheryl Smith in 2005 bringing the property back into the family. 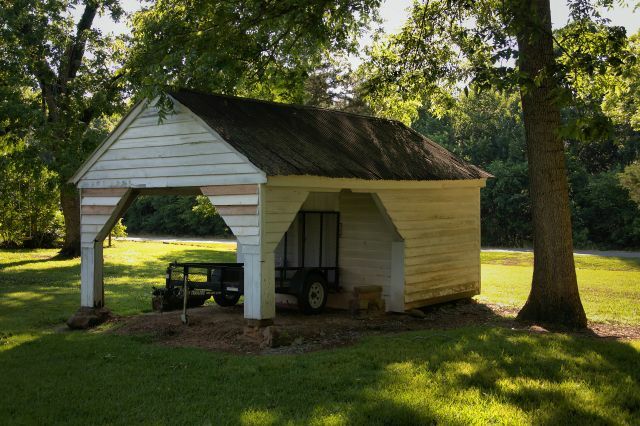 Since the time we purchased the mule barn was razed as it was too far gone to restore. However the stacked stone foundation was left in place. We replaced the roof in 2013 and found the underlying heart pine boards to be in perfect condition. 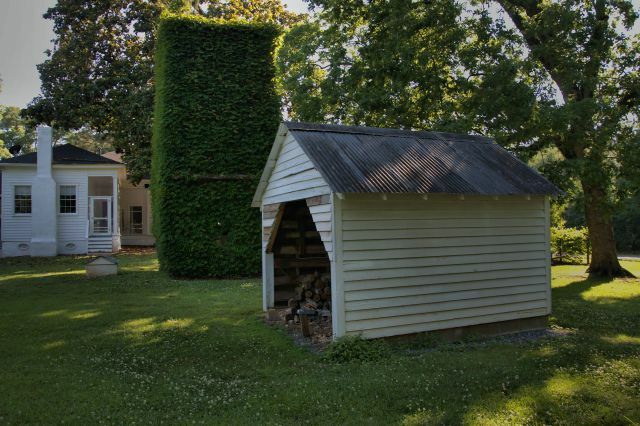 In addition crickets were made and installed behind each chimney and flashed with industrial powder coated metal to divert water and all gutter-downspouts and underground drains installed. Elaine Kilpatrick Tyler, a former resident, writes: My family and I lived at this farm in the 1950s. We moved there from Talbotton, Georgia. I was in the 11th grade at Talbot County High School in Talbotton. I cherished this farm place with so much history. My childhood dreams of having a horse came true and I ended up with 3 horses. My brothers refinished the floors at the guest house. The lady that owned the place at that time lived in Macon, Ga. (I think) . Anyway I loved all the history of this place, the jail under the house, the milk cellar, the cemetery, and so much more. I hope I can go there and see the place this spring. 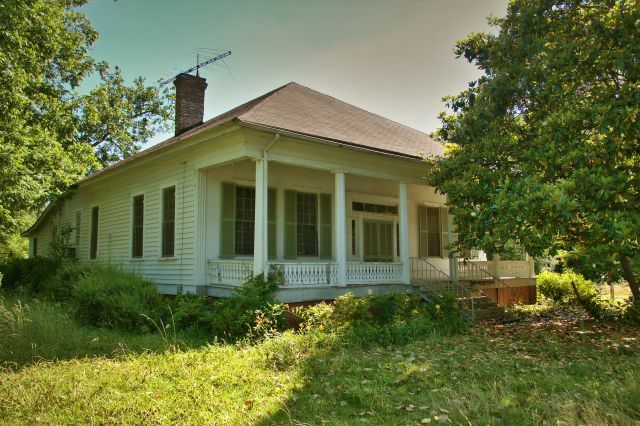 I see some changes in the front at the entrance…ther eused to be a very large muscadine arbor to the left of the as you went onto the porch. 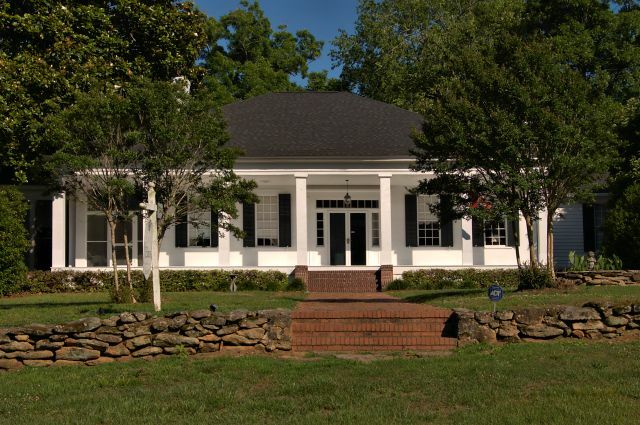 Built for John Thomas Blount, this Greek Revival cottage was later owned by the McCoy and Maxwell families. It became a focus of statewide attention when, on 5 April 1896, Emma Owen was shot and killed while visiting Jenny McCoy here. A local dentist, Dr. Will Ryder, had become enamored of Ms. Owen and had apparently been stalking her. At the time of the murder, Emma was sitting beside the front window of the home, in the company of her boyfriend, when Ryder fired shots into the parlor. After committing the act, the doctor fled to his nearby office and attempted suicide, but was rescued by friends. He was later charged with murder but was lynched while awaiting sentencing. Blood stains from the murder are still visible on the wood floorboards and the house is widely believed to be haunted. 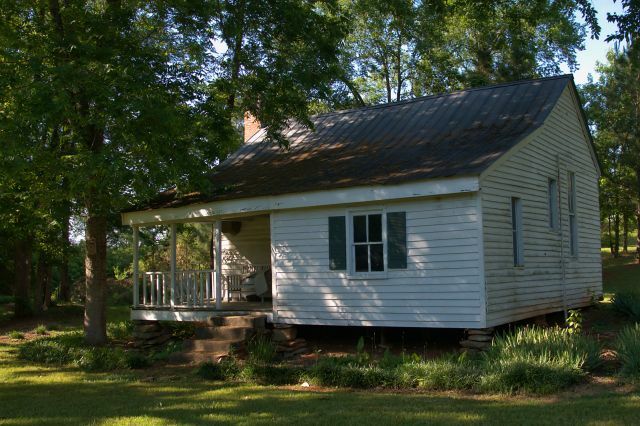 This house was built between 1845-50 by Asa W. Chapman. This is likely mid-19th century as are many of these wonderful cottages in Talbotton, but I haven’t located any information about it as yet. This grand home was built by attorney Joseph Pew and later to sold to a Dr. Hill, who was a professor at the LeVert Female College. Walton B. Hill, who was a Chancellor of the University of Georgia, grew up here. It’s presently being restored. This eclectic Late Victorian was built by Newton P. Carreker. 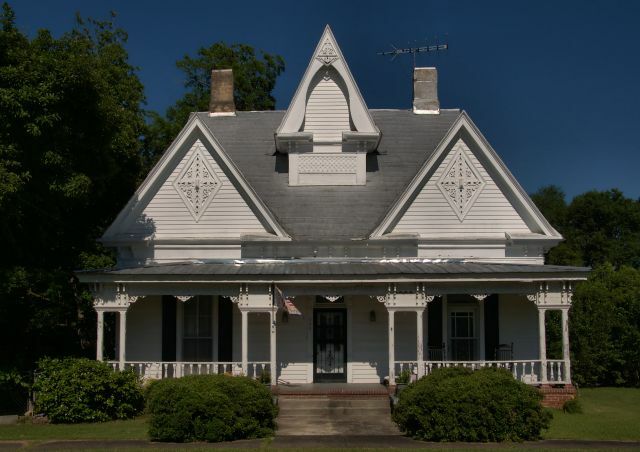 It’s usually to referred to locally as the “Liberty Bell House” for the cutouts in the gables. This photograph dates to 2009 and as of 2016 it’s still standing but very overgrown. 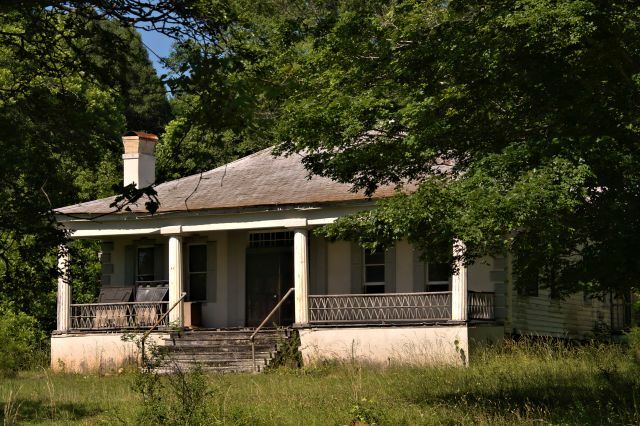 I’ve been trying to identify this Greek Revival cottage, which I knew to be early, for almost a decade. Thanks to Luke Moses, who shared this: According to William Davidson’s A Rockaway in Talbot (Volume I, pp. 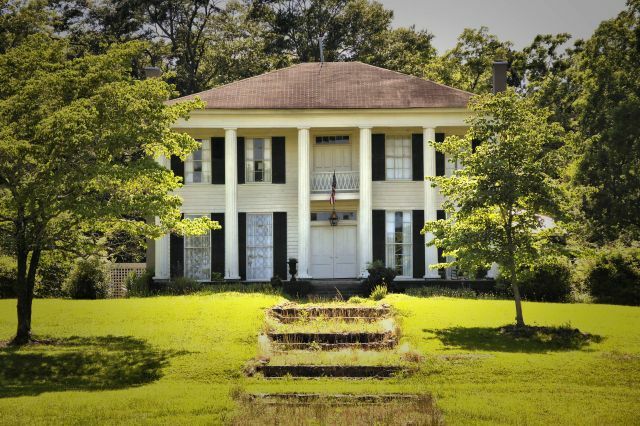 86-88), this is the Radcliff-Spivey House, built about 1835. This confirms the early date and makes even more critical the need for its stabilization.